Don’t create an org chart in PowerPoint. Many organizations have an official PowerPoint template that has the correct colors, logos, fonts, and styles. 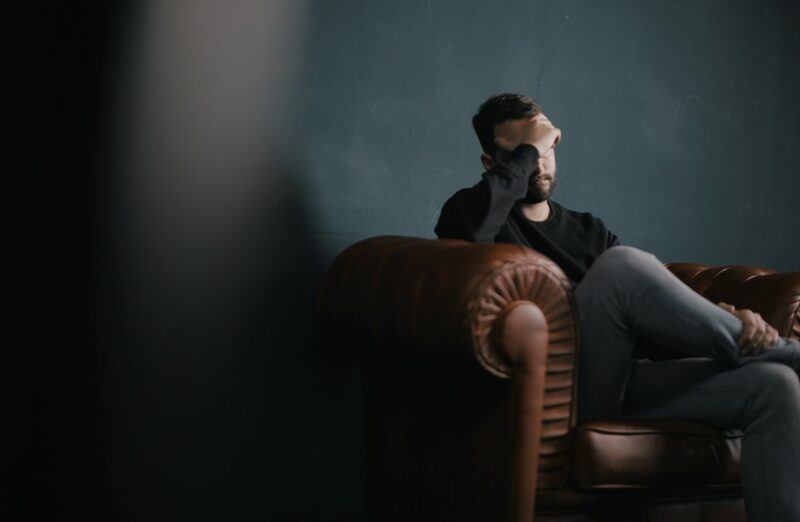 If you ask your marketing department, and they have no idea, then you can usually find an official presentation that is used with customers, board members, investors, or other people that your organization wants to impress. Once you find it, just delete all of the slides and then add a new blank slide. 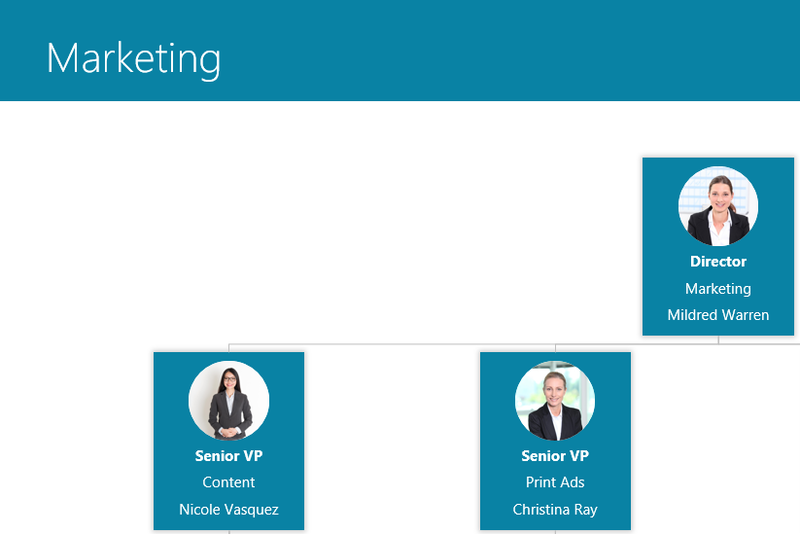 Thanks to the power of the “Slide Master” all of the design elements you want for your org chart will be in the new blank slide. As tempting as it is to fit your entire org on to one slide, it is very difficult to do in a way that is legible. You’re always giving up clarity and helpful information to maintain the dream of a one-slide org chart. Instead, decide right from the beginning that you will split your org chart across multiple slides. 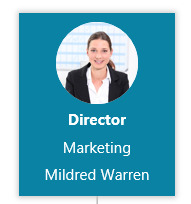 The safest bet is to use 2 levels per slide (for instance, the CEO and the people who report directly to her on one slide). It’s possible you can get 3 levels on one slide, but once you start building it that way, it is a real pain to go back and switch it to just 2 levels per slide. What you put into each org chart box has a huge impact on how many boxes you can fit on each slide. If you want Name, Title, Unit, Email, Responsibilities, Shoe Size, AND a Profile Photo, then you have to have a very small org structure. That is why most org charts you see are limited to just Name and Title. Ok, decisions are made. Now you are ready to actually build the org chart. 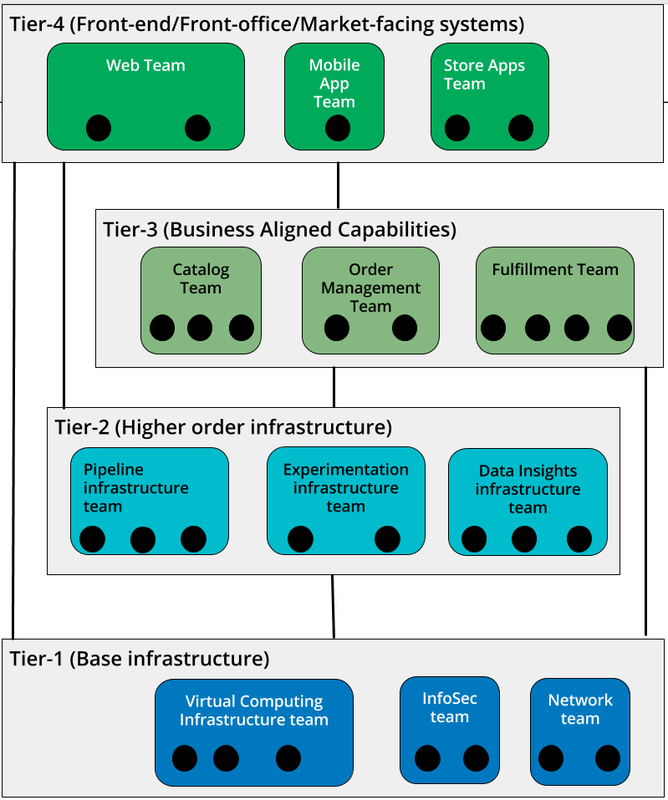 Some might recommend that you draw each box and each connector line in your org chart, but that can be frustrating. 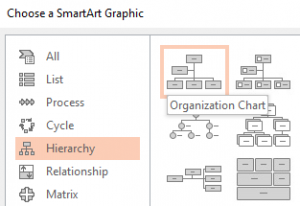 I recommend using SmartArt so you can build your org chart a little quicker. 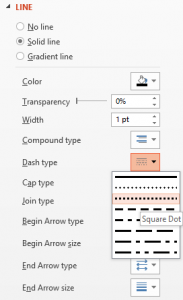 You can change solid-lines to dotted-lines by selecting the line, right-clicking, selecting Format Shape, selecting Line, and then changing the option for Dash Type. 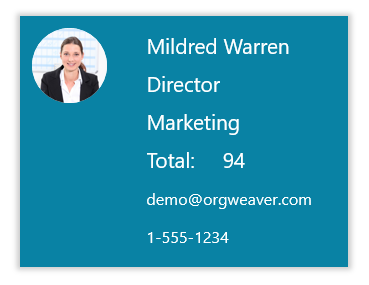 OrgWeaver meets all of those requirements for an org chart software and has a free version to get started. 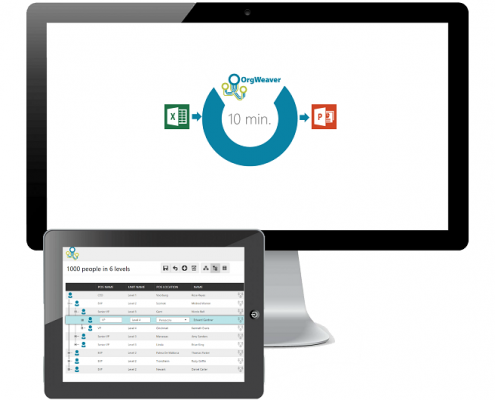 There are other tools as well that don’t meet all of those requirements, but are worth comparing and contrasting (such as OrgPlus, Organimi, and Pingboard). Do you have data in Excel that you want to visualize as an org chart? Before you waste days trying to figure out exactly what you need to do, let us help you out. These are the key things you need to know to prepare your Excel data to be imported into most online org chart creators. Some of your data has to be unique so that org chart software can make sense of it. But which data? Stick to the basics. Every single “people ID” and “position ID” needs to be unique. If you repeat any of those IDs, your org chart won’t work. Don’t have IDs? You can just make them up! If you don’t have a “person ID” for every single employee, just create new IDs. In the “people ID” column, just start with the number 1 and continue down the rows of people until everyone has a “people ID”. Every row of data should include data about one single person that holds one single job. If there are any blanks in your data, try to fill it in as best as you can. If you have too many blanks, consider asking for more data from your colleague that keeps track of HR data. 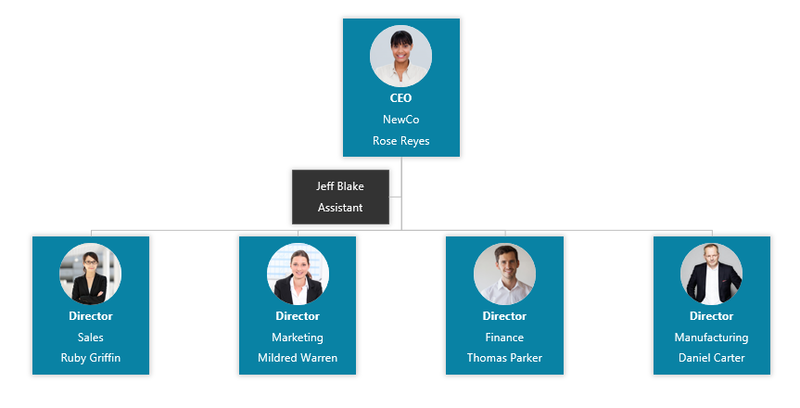 Org charts are made by connecting every single position to a manager. For instance, a VP reports to an Executive VP. And an Executive VP reports to the CEO. Make sure you have one column in your data that shows the “position ID” that each person reports to. If you don’t have the “reports to position ID” column in your Excel sheet, it is necessary to add it. Start at the top. Find the “position ID” of the CEO (let’s say that “position ID” is 1). Then find every person that reports to the CEO and put the number 1 in their “reports to position ID” column. Do that for each leader until all of the rows are filled. The top boss doesn’t report to anyone, though. So make sure that the “reports to position ID” of the person at the top of your org chart is left blank! Download this example Excel sheet that shows all of the columns that are necessary to create an org chart from Excel. 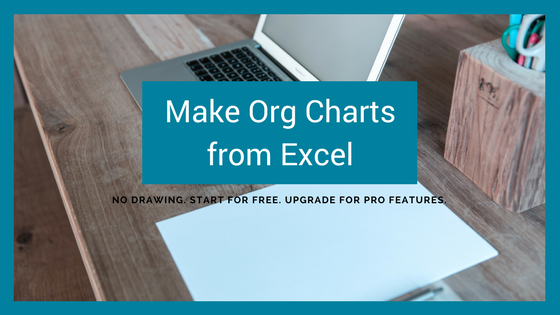 The Excel sheet was made to work with OrgWeaver, but it should also help get your data prepared for an Excel import to Organimi, OrgPlus, OrgChart4U, OrgVue, and other online org chart creators.